Liverpool fans woke up to the (completely fabricated) news this morning that Brendan Rodgers was ready to enter the transfer market once again this summer – and splash £35m on Real Madrid superstar Toni Kroos. The Metro led with the headline: Liverpool ‘ready to sign Toni Kroos from Real Madrid in £35m transfer’, and go on to claim that the German international is pining for a move away, and that he’s a ‘key target’ for us in August. But where did they get it? In truth – it doesn’t take too much rummaging to find out. And the cheek of the newspapers in question is just something else. 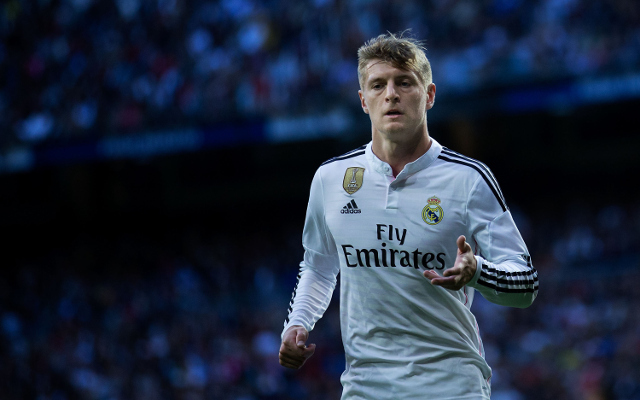 Going back to the very start – here’s how ‘Kroos to Liverpool!’ was born. But then this throw away sentence was taken up by InsideSpanishFootball (a site focussing solely on La Liga news) who manufactured a story titled ‘PSG eye Toni Kroos or Sergio Busquets as Motta replacements’. They’ve handpicked the two players representing Real Madrid and Barcelona in Le Parisien’s story – but completely misunderstood it – crucially ignoring the French claim that Kroos and Busquets are not available. But now the monster was born. Note: the Spanish report didn’t mention a single English club, but The Express led with this story anyway – ‘Man Utd, Chelsea, Arsenal and Liverpool on alert as Toni Kroos could leave Real Madrid’. Remember, the original French report claimed Kroos was NOT for sale, the Spanish report misunderstood and said he was – and now the Express claim he’s ‘unhappy’, and that England’s four biggest clubs all want him! (You’ll see how they got four teams in the headline. This is to purely entice clicks from supporters of those teams. It’s based on literally nothing factual.) Remember again, no English clubs were mentioned in the original. The Express have fabricated this because, and we quote them: ‘Manchester United, Chelsea, Arsenal and Liverpool were all interested before he moved to the Spanish giants last summer.’ This didn’t happen either. Today, the Metro decided to handpick the juiciest part of the Express story, leading with an intro of ‘The Daily Express says…’, in an attempt to alleviate responsibility, but they know exactly what they’re doing. But Kroos isn’t unhappy. The original story never claimed he was. PSG are not directly interested. Liverpool are not interested. The story is bogus. Essentially, a small Spanish news website has misread a French opinion piece, and then two English papers have taken advantage of their mistake and used it as their ‘source’ to farm out lies. It’s not even close to journalism. What’s funniest is that it isn’t even hard to trace. Follow the links we’ve included in this piece. You’ll see for yourselves. So there you have it, folks. A short introduction to the barbarity of the summer transfer rumour mill. If it wasn’t so sad we’d laugh.